I have a bucket list of things that I want to make before I leave this earth. This might seem crazy but I like the challenge of learning new things, trying new techniques and discovering new flavors. Curd is one of the items I can now check off. I did it and I loved it! I have to admit that it was much easier than I thought it would be to make. I will say that once I started eating it, I could almost not stop myself. When I tell people that I have made curd or that I am making it, they always ask, "What do you use it for?". Well the list is the same as if you were using jelly or jam. 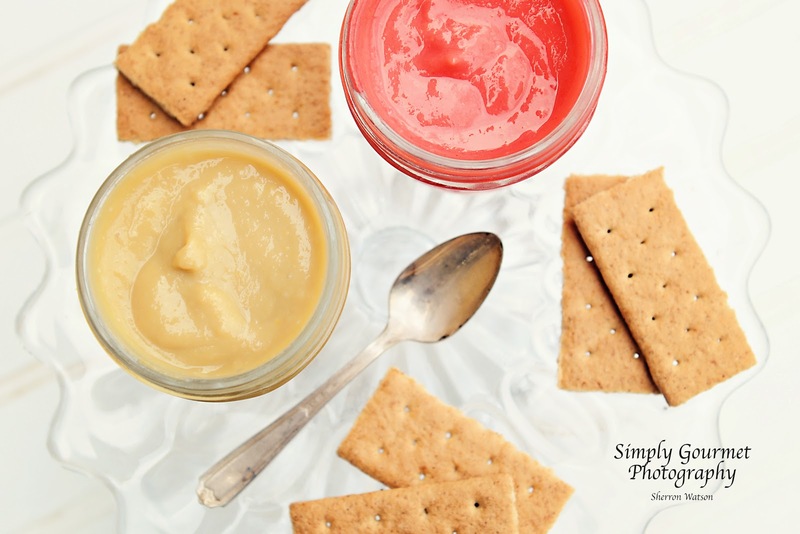 It can go on toast, in yogurt, as a dip for fruit or in a pie. 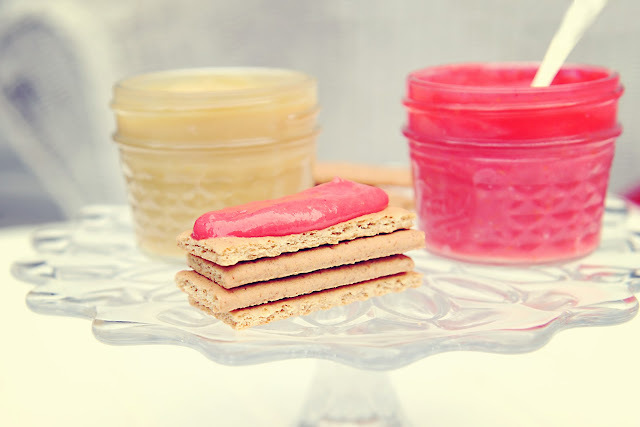 I used this rhubarb curd for a tart that I made. It was fabulous and so easy to put together. The recipe for the Strawberry Rhubarb Tart can be found here. For the curd I used a recipe from Gilt Taste. The directions were easy to follow. 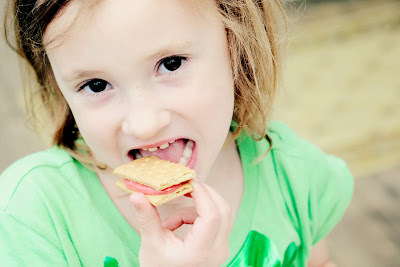 The only thing that I did differently, was added a few drops of red food coloring to half of the batch. 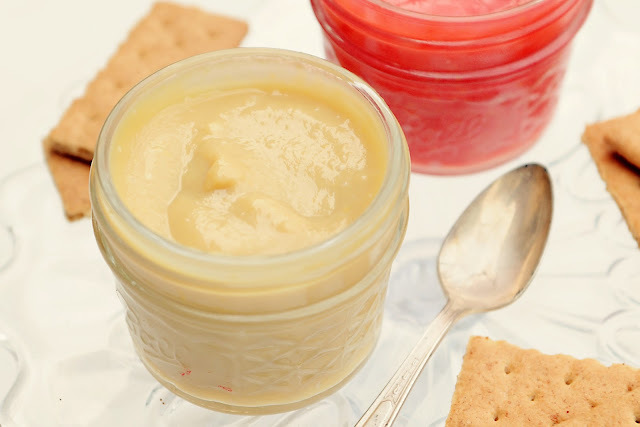 Otherwise, the rhubarb curd is a pale yellow (see picture above). 1. Puree the rhubarb in the food processor until smooth, about 2 to 3 minutes (add a few teaspoons of water if necessary to help the rhubarb move though try to keep this to a minimum so it doesn’t dilute the juice). Pour into a bowl lined with cheese cloth. Tighten the cheese cloth and squeeze out the juice with your hands, discarding the pulp. You should get about 2/3 cup of juice. 2. 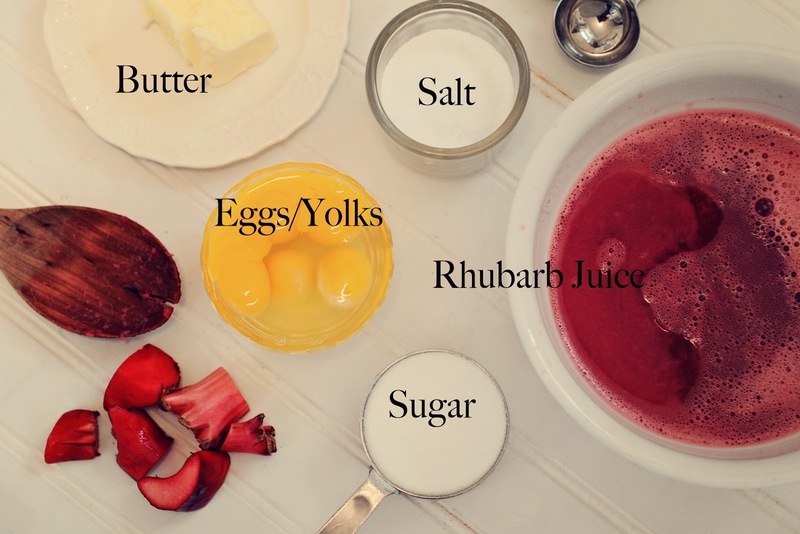 In a double boiler or a stainless steel medium bowl set on top of a medium heavy-bottomed pot with 2 inches of simmering water, combine the rhubarb juice, sugar, eggs, egg yolks and salt. 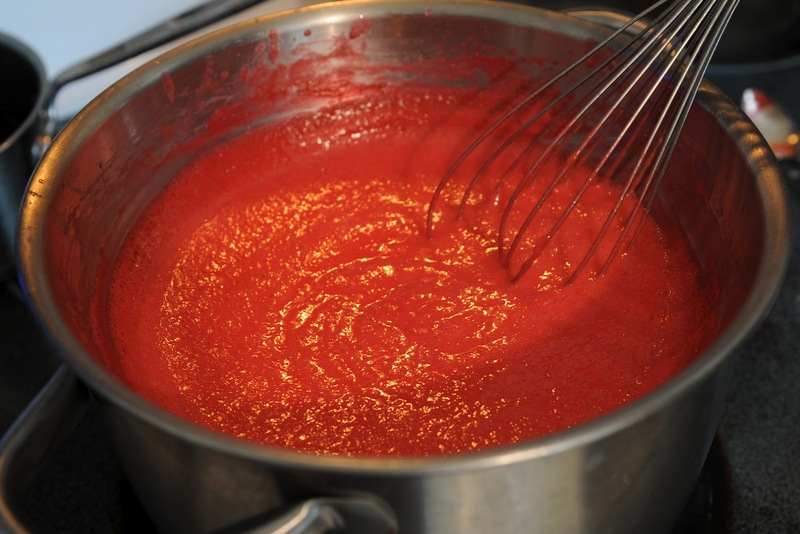 Stir constantly, with a whisk, making sure to scrape the bottom and sides, while the liquid thickens and coats the back of a wooden spoon, about 18 to 20 minutes. Remove from heat and whisk in butter until dissolved. 3. Strain the curd through a fine-mesh sieve and chill completely. Store, refrigerated, in an air-tight container. I have never tried rhubarber curd, only lemon and orange...This amazing colour of it makes my mouth water, mmmh :) Thanks for the step-bystep instructions, appreciate it a lot!